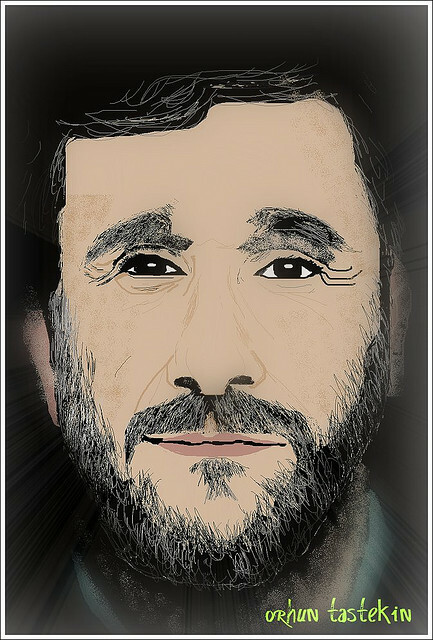 Does Mahmoud Ahmadinejad Speak the Truth and Nothing but the Truth? Mahmoud Ahmadinejad has given us a sneak preview of what might be said during his speech to the UN on the 26th September, when he gave an interview to CNN with Piers Morgan. The President began with fairly basic claims which any American would probably agree with, i.e. condemning the disgusting video which joked about the Prophet Mohammed and condemning the violent protests that followed in the Middle East. Mahmoud Ahmadinejad also confirmed he is fully supportive of peaceful protests against authoritarian regimes, supported dialogue to deal with the violent clashes in Syria and had no problem with the Arab Spring. Thus far, the Iranian leader might have as well been Barack Obama or David Cameron as his views sounded completely liberal and westernised. decent education under the Israeli occupation. Piers Morgan then asked the president what he would do if Israel attacks Iran due to claims that Iran is developing nuclear weapons. Once again, the facts on this issue are unclear. What is apparent however is that Israel is itching to attack Iran not so much because of claims of weapons of mass destruction (the same claims I might add that have led to the war in Iraq in 2003) but because Israel views Iran as a potential territorial threat. Israel not only wants to be the dominant power in the Middle East but also the only power with nuclear weapons. It is important to add here that Israel does not want these weapons to be inspected and considering that Israel has already been involved in five wars in its short history and is now itching for a sixth war with Iran, (a nation which has never attacked anyone for hundreds of years), it is perhaps beyond any logical explanation why Israel is able to get away with everything, while Iran is being threatened with an attack without 100% knowing whether the Islamic nation is actually building nuclear weapons. Perhaps the answer lies in the all-powerful Israel lobby in the USA which has a strong influence on the American government. The final part of the interview discussed the fact that Iran does not allow homosexuality (as it is a Muslim country). Mahmoud Ahmadinejad argued in the interview that gay people are not born but become gay and has called homosexual behaviour “ugly”. Of course this claim will cause increased anger and disgust in the West, but what must be understood is that culture is different on the other side of our planet and this culture must be respected. Many wars and conflicts have been caused because one nation felt entitled to tell another nation how to live and manage its population. Such nations must get off their high horse and let other nations live how they please. If the Iranians are truly not happy with the anti-gay laws, then it is up to them to protest and show that they are displeased. The West must stop acting like a police state. Europe needs to sort out its own problems first, before we start acting like God. The final question asked by the presenter was how many times the Iranian President has been in love. Even Piers Morgan was pleasantly surprised by the answer: “I am in love with all of humanity.” While Obama and David Cameron may sneer at that response, one must remember that Mahmoud Ahmadinejad has never attacked anyone during his 8 years as President, something which cannot be said about Obama and the UK Prime-Minister, who during their short time as leaders have already been involved in four different conflicts.